Darlings, today I have some double trouble darling dresses! Have you ever needed something sewn up super quickly because the weather calls for it? You need to wear it EVERY day because everything else in your wardrobe is so hot and heavy, you need a floppy frock STAT! 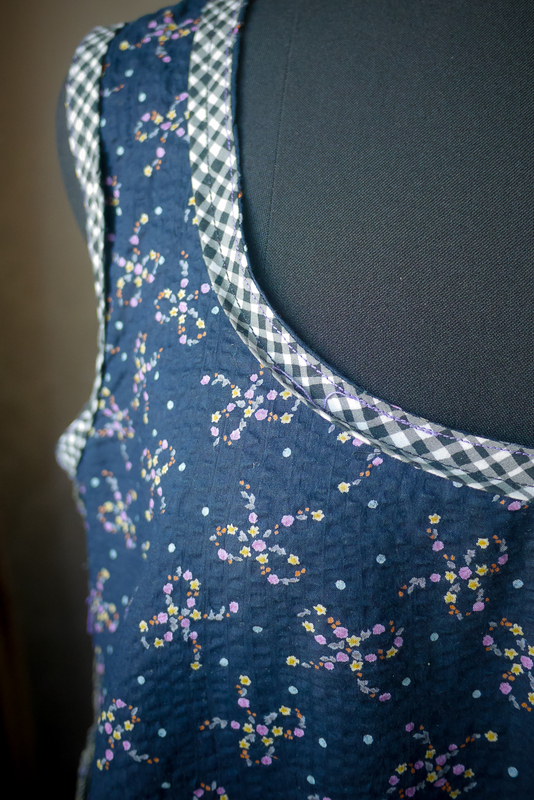 Here’s my quick fix for that humid hotness and I quickly created two dresses at once and I made this first black one, put it on, and then started the next one right away. Shanghai has been a huge bowl of hot velvety air, and just these last few days thanks to a (very) southern Typhoon, we’ve started to breath normally again and felt some fresh cooler winds! Oh it’s hard to do anything when it’s THAT hot, so you can imagine me slowly plodding through the days with a 2 year old…dragging him from various pools to indoor play centres trying to avoid the crowds and any stickiness! So, the first dress to talk about today is the black one, and tomorrow I’ll post about the creamy/greeny one! The fabric is light cotton, that my Chinese friend helped me buy from Taobao (maybe you can see here, if you use Chrome it'll translate for you - that's how I do most of my shopping online here in China! ), and while I asked for 3 metres, I think it was '3 units' where 1 unit is 50 cm. Oh well! 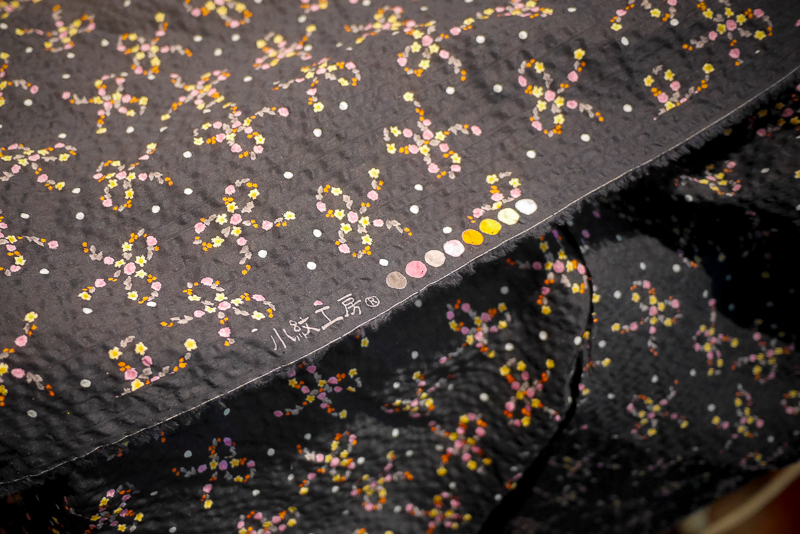 It's super cheap for such lovely fabric and I kind of wanted to test out buying fabric from Taobao to see what the quality was like! This says it's South Korean in 'style' but have no idea! Anyone able to read the characters for me in the selvage? Luckily there was only JUST enough for this dress. 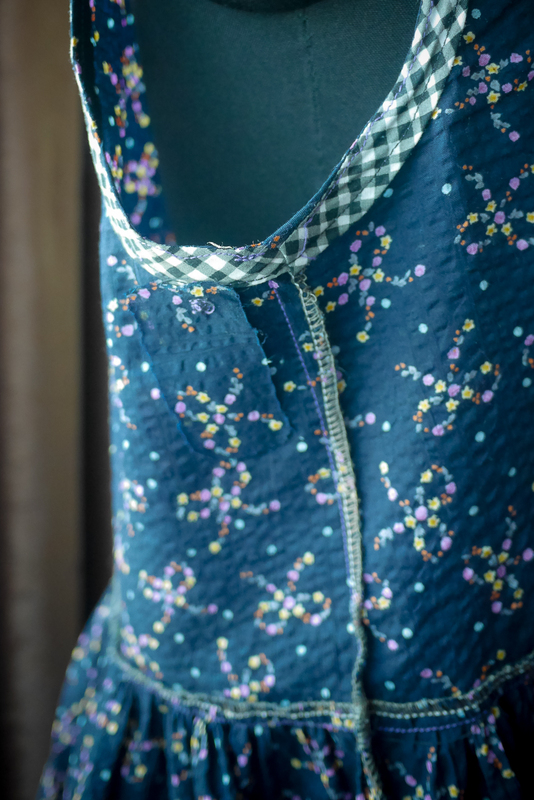 There is also a slight stretch to the cotton, and thought it could be good with making a summer frock even comfier and floaty. I have used this dress shape a few times in my sewing, originally I had an 80s dress that I refashioned to be a cute shortie toddler looking thing (yes I have often dressed like I’m a child/Strawberry Shortcake) and then I made a red floppy summer dress one morning because I didn’t have anything to wear to a music industry panel I was talking on. You know that feeling, when there’s NOTHING to wear. But I also wore it on holidays in Bali. 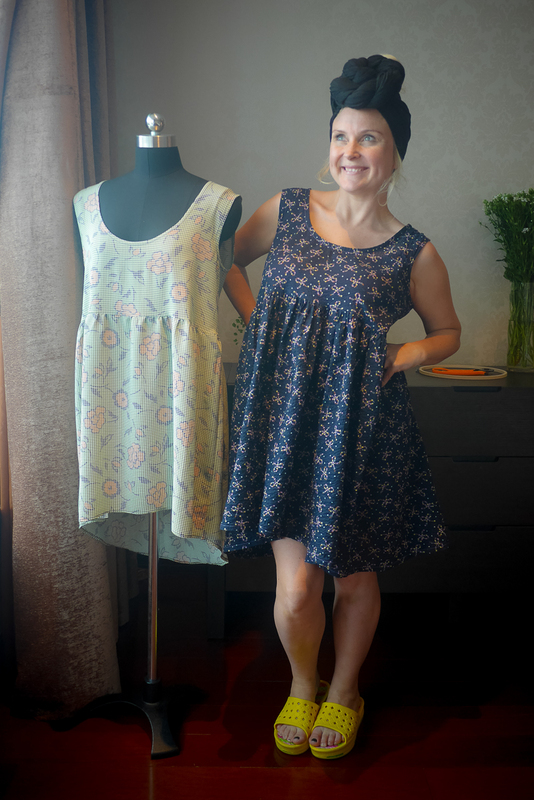 And then I made this floppy frock for a few summers ago in Australia and I wear it ALL the time. From the MMM month of wearing my handmade clothing, it was the thing I grabbed the most as the weather hotted up and so I had it in mind to sew up a couple more when I had the chance. So pretty much the pattern is two bodice pieces and whatever fabric you have left over for the skirt. 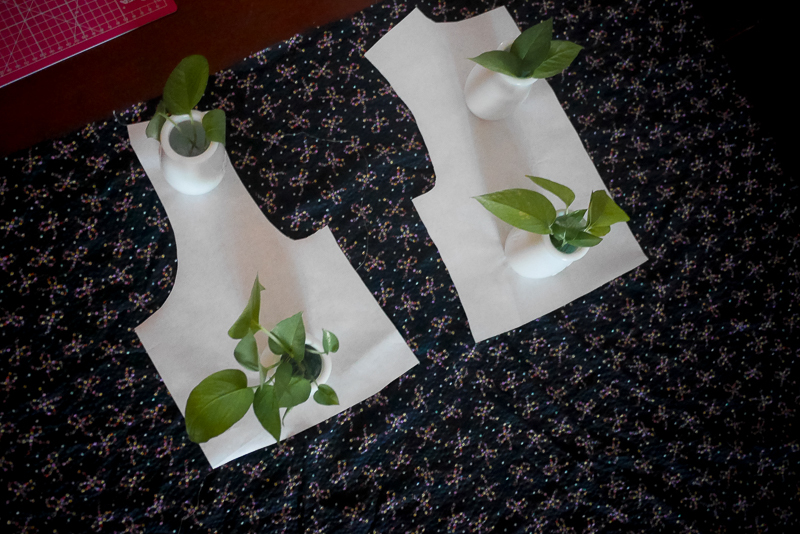 This time, since I have tracing paper, I decided to use the Plantain pattern pieces from Deer & Doe’s free pattern, and make them a little more like the dress I wear. 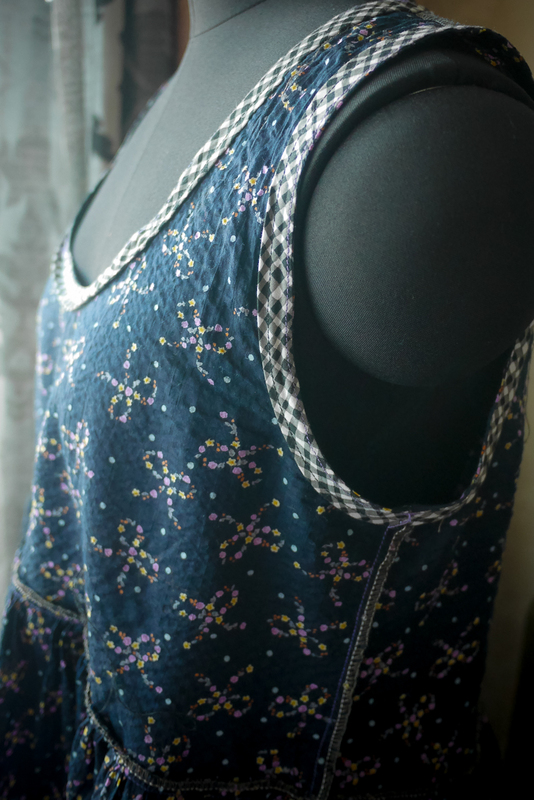 So the pattern is now a hybrid shape that’s evolved to this silhouette… but I’m kinda happy with how you can just chuck it on, no zipper or clasps and flop around on a hot day. For you step by step readers/sewing peeps, I cut the bodice pieces, measured what fabric I had left and then cut two rectangles, for back and front skirt pieces. 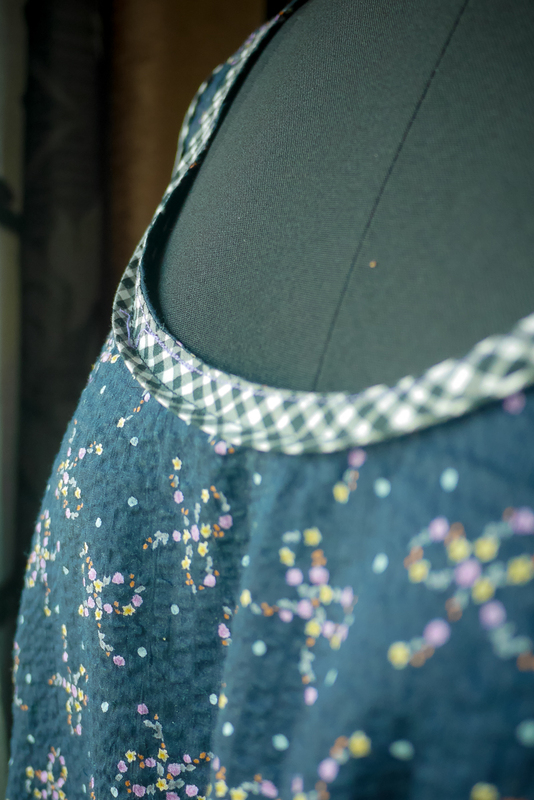 I used the longer rectangle edge for the gathered skirt piece to create the volume/width to the skirt. It curls up and I think that’s because I haven’t included enough bias tape length, so that made it harder to stretch out the tape to the curves… sound right? I have done this in sewing school just three months ago, so maybe I should check my notes. Also, in the above right photo, you can see my little patch up job under the arm... as my scissors snipped a little too much as I was cutting the loose threads and I had a teeny 5mm hole right on a fabric spot... so it was easy to patch and stitch up... I got a bit carried away by the swatchy patch though, so it looks much worse. 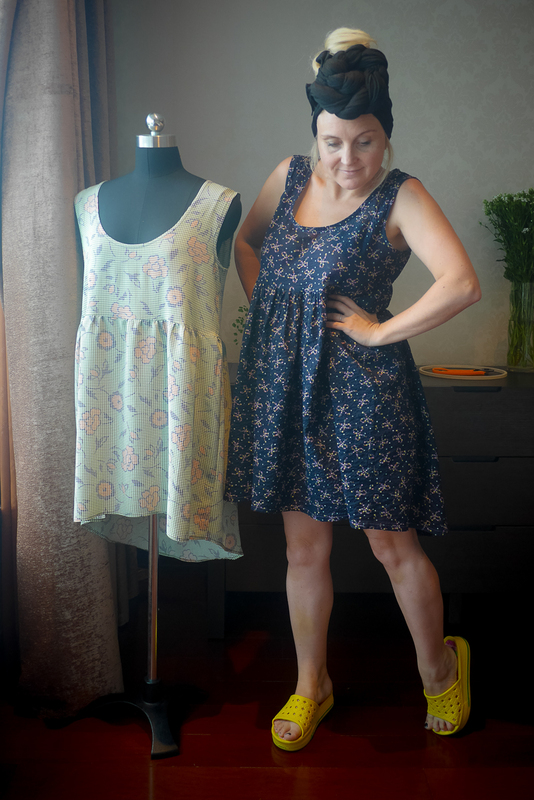 But YAY for summer floppy frocks, soooooo cool to wear and the high-low hem is perfect for bike riding, I sit on the longer hem while pulling the front around a little so it doesn't fly up while riding around town. Last week when it was oozy steamy hot, we all went on a trip with the children to a museum and the pool and I felt just lovely and as cool as one can be in that heat. Pattern: None but used Deer & Doe’s Plantain as a guide for shape even though this is woven, and that’s for stretch fabric. Size: Not sure, my size! While Sewing: All fine, but snipped the fabric with the little scissors while cutting loose threads! DAMN. Will I Wear It? Already worn 5 times in the last 2 weeks! And what a special day for you, you've had an EXCLUSIVE glance at my indoor slippers! Glamour inside the house here in Shanghai my friends!